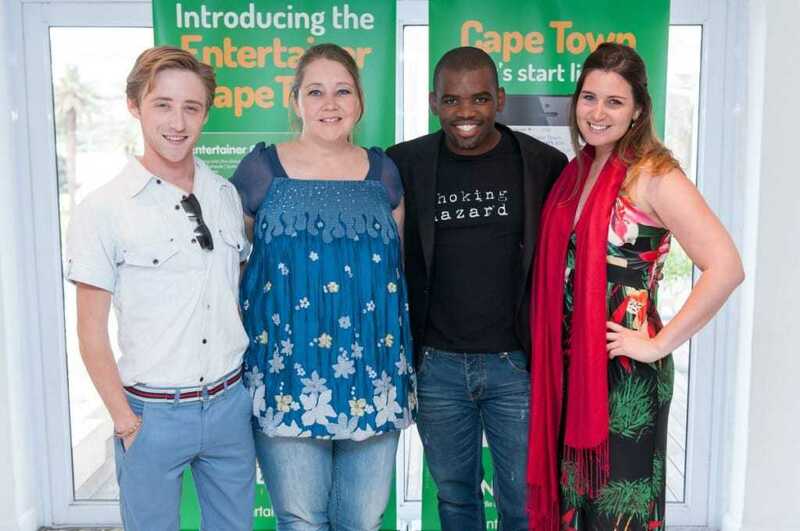 Last Wednesday was the official launch of the 2014 Entertainer Cape Town. If you haven’t seen the book before, it’s a collection of 2 for 1 vouchers valid for a wide array of products and services in Cape Town. I’ve really enjoyed using my 2013 book and so I’ve really been looking forward to finding out more about what’s in the 2014 book. 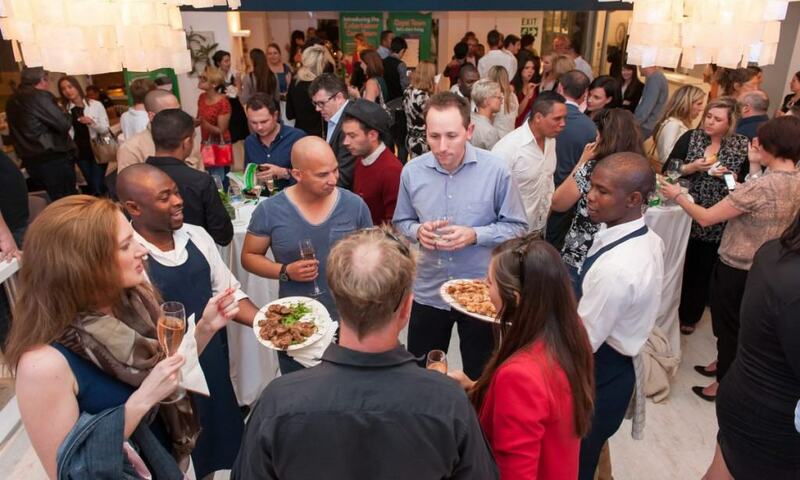 The launch was held at Blues, where we were introduced to some of the Entertainer team from all around the globe. It was a really fun evening spent in good company, hearing about a really fantastic product. The Entertainer has enjoyed massive growth from 2001 when the first book was launched to now 28 products in 21 countries. 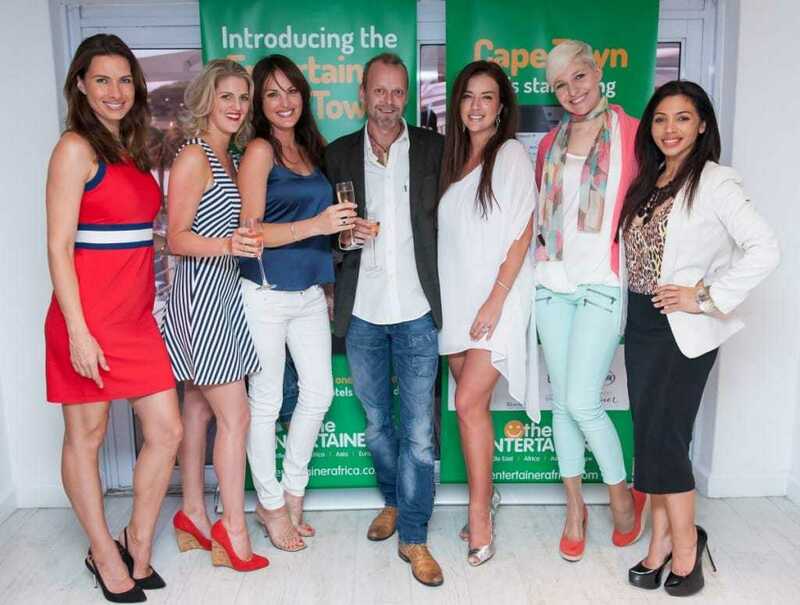 Cape Town Entertainer 2014 offers an incredible array of vouchers, with over 800 offers from close to 250 merchants. An added bonus is the Travel supplement, with 120 hotels in 21 different countries. Another exciting addition is the Entertainer app, over 2 years in development, and is available on most smartphone devices. 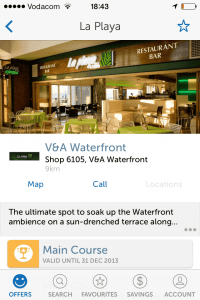 The concept of the app is centred around Discovery. 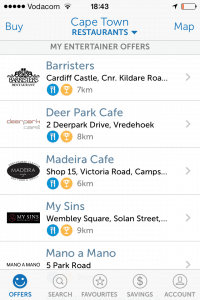 With geo-targetted offerings, wherever you are in Cape Town it’s easy to choose where you want to go. I’ve included some screenshots from the app – it’s very easy to use – although there is a neat feature explaining exactly how to redeem vouchers. The design is minimalist, and makes the Entertainer 2014 even more accessible than before. This year’s book is only R300, and with some of the offers, you could easily get your money back the first 1 or 2 times that you use it. If you’re looking for more information, visit their website or connect with them on Twitter.